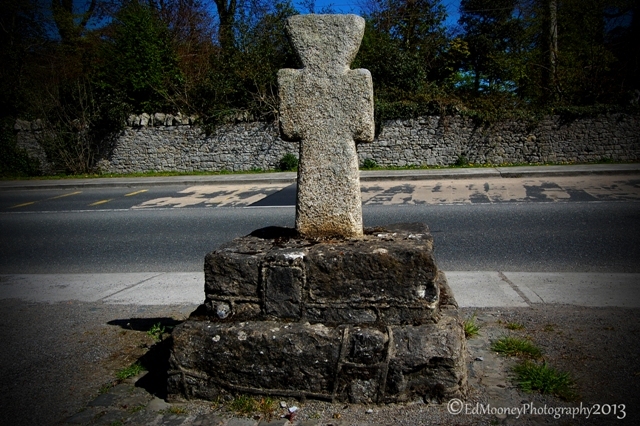 This interesting cross stands right beside the main road at the entrance to St. Doolagh’s church. It is a chunky peice of stone with no sign of decoration and it sits in what looks to be a modern plinth. 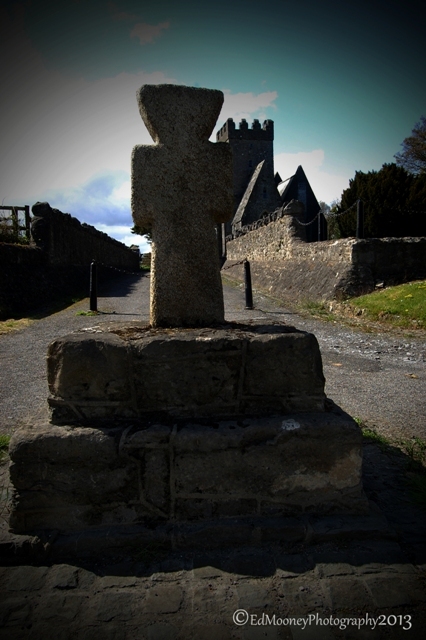 The Cross itself which is made from granite is not believed to been sourced in n the area and was either taken from another location or gifted to the church. There are no records of a date for the cross itself, but judging from its early Christian design, I would guess that it might perhaps date back to the time of the earlier church circa 600AD. 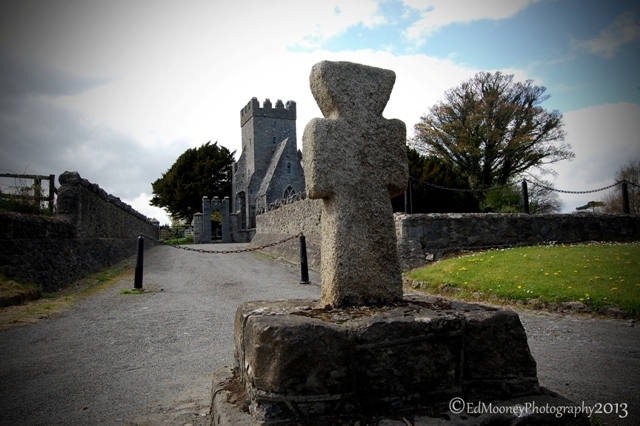 This entry was posted in Diary of a Ruinhunter, Historical, Medieval, Photography, Places of Interest, Ruins and tagged 12th Century, 600AD Hermit, 7th Century, Balgriffin, Battlement, cell, Cemetry, church, Cross, Dublin, Ed Mooney Photography, Glendalough, God, Ireland, Lepracy, monastery, Olave, Photography, St. Doolagh, Stone, Stone Roof, Tower, Viking. Bookmark the permalink. “Chunky” certainly is the right word to describe this one! LOL, sure is. I have never seen anything quite like it. Very unusual. I love this post and the previous one about St Begnet’s Ruin but sadly my comments aren’t being allowed (WordPress problems!) Hoping you get this one.